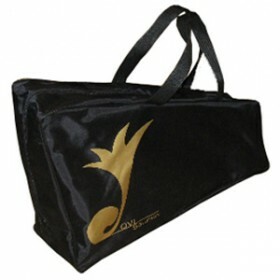 Did you ever need to improve your sound with a technical system , made in Italy and one o kind ? Are you a DRUMMER or PERCUSSIONIST ? PLAY the CAJON with OVI SOLUTION and IMPROVE your EXPERIENCE. Throne PRB is the newest Throne PRO – 2013 model. It’s a professional tilter and a natural amplifier for cajon, made of BIRCHWOOD. It’s a real music instrument which increase the sonic features of your cajon. 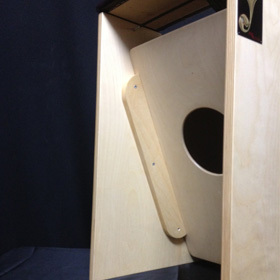 Throne EKP is a real music instrument which increase the sonic features of your cajon. 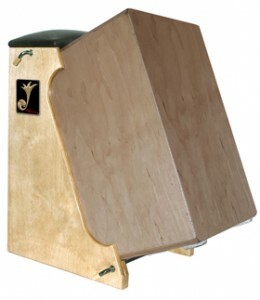 PRO Cajon Pedal is the first ever professional cajon pedal with direct drive which let cajon players play with foot and hand in the same time and on the same instrument. BacKicK is the inverse remote pedal . 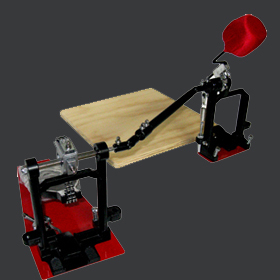 It’s a professional inverted pedal for drummers and percussionisti built on specific requests by Massimo Carrano. The waterproof bag for your Throne. 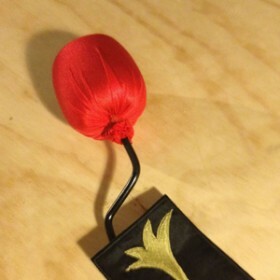 With its handles you can easily carry it. 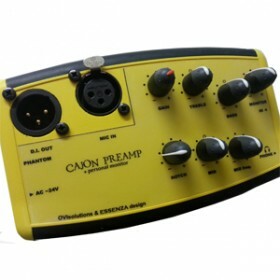 Cajon PREAMP is the first cajon pre amplifier. It provides an equing section that make it one of kind. With few and very intuitive knobs you can get a wide timbers range and you can manage the undesired resonances. It features a very strong internal component and a soft cushion, with an external synthetic cover. The cajon pedal beater is studied to get the sound of your palm hand on the tapa (cajon front panel). In acoustic live settings, with it you can replace the bass drum with the cajon pedal.